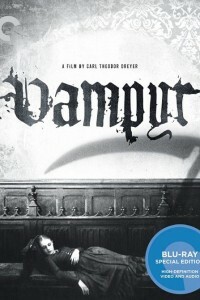 In the Vampyr DVD, Danish filmmaker Carl Theodor Dreyer channeled his genius for creating mesmerizing atmosphere and austere, unsettling imagery into the horror genre. The result – a chilling film about a student of the occult who encounters supernatural haunts and local evildoers in a village outside Paris – is nearly unclassifiable. A host of stunning camera and editing tricks and densely layered sounds creates a mood of dreamlike terror. With its roiling fogs, ominous scythes, and foreboding echoes, Vampyr is one of cinema’s greatest nightmares.